Those of you that are Nascar fans have probably heard about Toyota's contest to design your own race car. 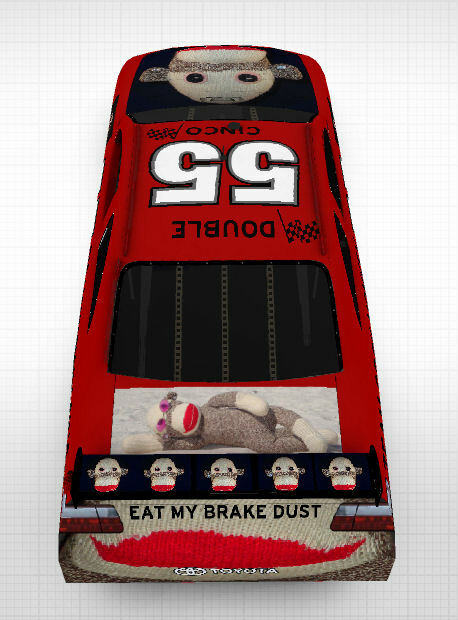 I decided to enter my own creation, the Big Monkey car, even though the deadline for the big prize has passed. 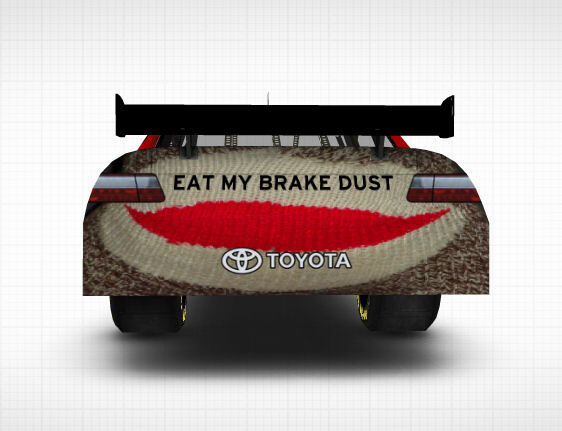 This weekend one of the lucky finalists will see their design come to life as the official pace car. Too bad I didn't find out about this contest earlier. How cool would it be to see the Big Monkey car racing around the track? 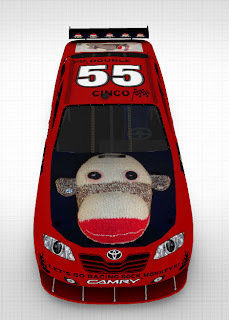 You can still vote for the Big Monkey car if you like it by visiting the Toyota Sponsafier site. Meanwhile I thought I would share the different views of my design. 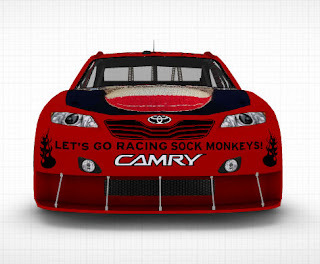 Let's go racing sock monkeys! 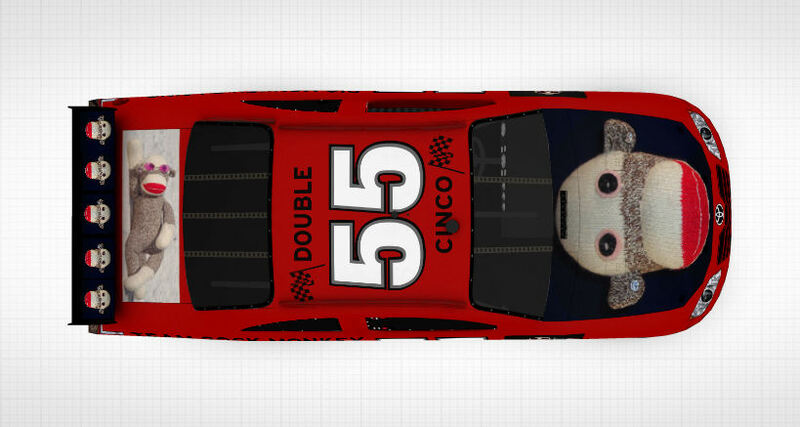 I wonder how Toby Lightman would feel about changing the lyrics of her Nascar theme song, "Let's Go Racing Boys." That's a pretty good looking hood if I say so myself! 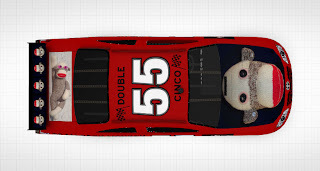 I'm # 55, the Double Cinco. 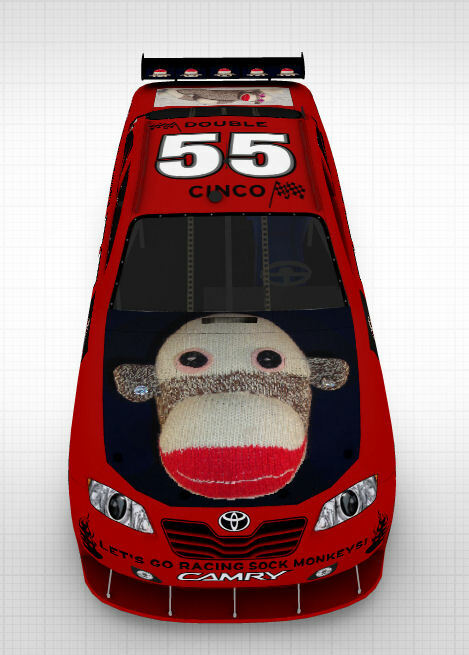 I couldn't do it without Team Sock Monkey! 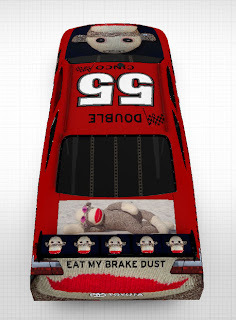 Now for my favorite portion of the race car - the rear end. Isn't that a fine looking red heeled booty? 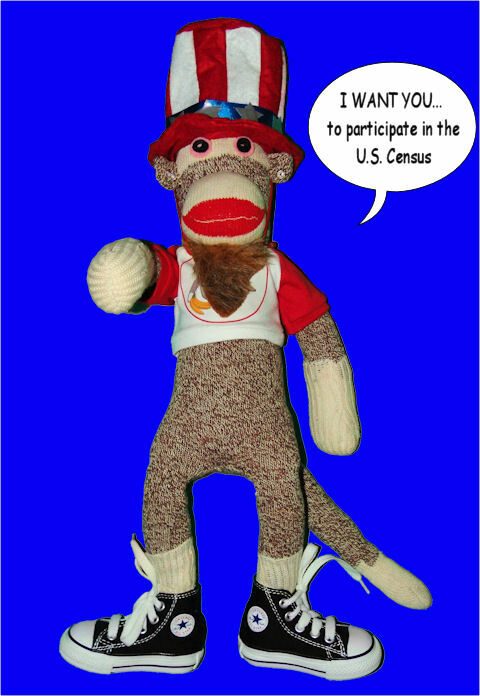 Monkle Sam needs everyone (man, beast and socko simian) among us to participate in the U.S. Census. If you missed the deadline to return the form, one of Monkle Sam's representatives will be knocking on your door in the next few months. Please give them a few minutes of your time so that you and your family can be counted. 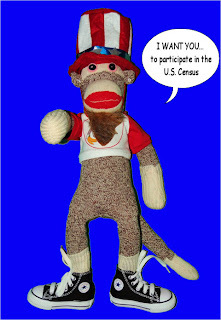 It's so easy, even a chimp can do it.